My vegetable garden was almost complete by this past Thursday, but I needed just few more plants. Ron and I decided to take drive down to Innisfil where a former school mate of mine runs a greenhouse operation. We picked up eggplants and dill and a few extra annuals late in the morning and headed back to Barrie just around the lunch hour. I knew exactly where I wanted to stop for a bite! 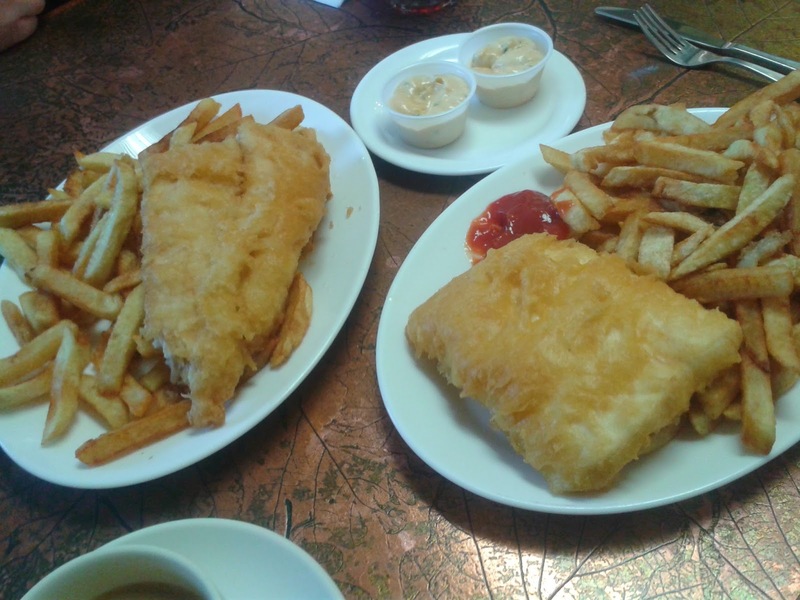 We are north end dwellers, living just off the Bayfield Street strip with all it's myriad of shops and restaurants, and don't often venture to the south end of town, so when we found ourselves in the area I had a mission in mind - Danny's Fish & Chips! I am Scottish born and have spent some time living/working in and visiting the UK, and my ideal meal when I am lucky enough to return is a big feast of fish and chips and a pint of cider. Most times, when dining out here, I choose the fish and chips if it's on the menu. In fact, I'm quite predictable that way and my family finds it rather amusing. They find it funny partly because it's actually my mother's favourite restaurant meal too. Poor Mum has been partly deaf for many years and couldn't always hear what her server was asking her and so just repeated "Fish and chips. Fish and chips" no matter what the question. So, ridiculed or not, I am always on the hunt for a good local fish supper. 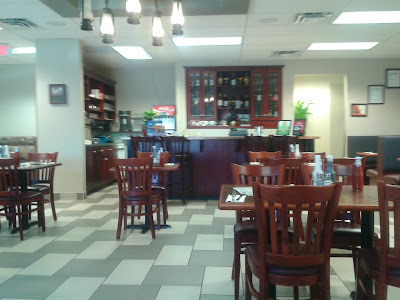 I used to love Henry's (too bad it's gone now) and I am a long time fan of Fancy's on Bell Farm Rd., but this city has grown and so have the dining choices. More than once, I have posed the question of who makes the best fish and chips in Barrie, on my social media, and without fail I get numerous votes for Danny's. What makes a great fish and chips? For me, I think a lot of the key is in the oil. Old frying oil gives too dark a coating where it should be a light golden colour. Oil that is not hot enough makes for an overly greasy meal. Anything other than hand cut french fries is a let down. However, a ritzy setting is not necessary as some of the best fish dinners I've ever eaten were wrapped in old newspapers and handed out the window of a small street corner booth. Upon entering Danny's, the first thing you notice is how neat and clean it is. This location has been open for nearly 4 years now, but it looks like a brand new restaurant. It wasn't very busy at all when we arrived and the seemingly lone server, a friendly young woman, was very quick to take our drink order. Ron chose halibut and I chose haddock. Haddock, to me is fish that is not fishy, if that makes any sense! We both got a beautiful plate piled high with good sized chip wagon style fries and a nice piece of perfectly golden fish. The batter was the lightest I've seen anywhere around and it was really crispy. There is real skill involved in cooking a thick piece of fish right through until it is white and flaky while keeping the batter from becoming overdone. The flavour and texture was terrific and the portion size just right. We walked away feeling full but not overfed or regretful about consuming a greasy meal, because it certainly wasn't. Do you know how I know that I have had some exceptionally good food? If I am thinking about it later and craving it again, that means to me that the food was beyond ordinary. A ho-hum meal is soon forgotten, but something outstanding is thought of again and again, recommended to friends and often revisited when the chance arises another time. I would most definitely eat at Danny's again. Barrie folks might just be right - it may be the best fish and chips in Barrie! I never checked the bar menu to see if they offer cider, but if they do, oh boy - I might be visiting the south end of town more often!